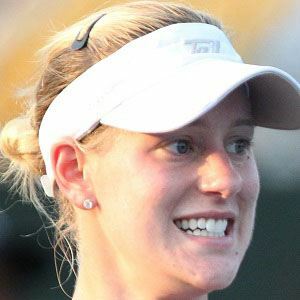 American tennis player who earned her first WTA tour victory in October 2014 by winning the Tianjin Open. She had previously earned several victories on the ITF Circuit as a singles and doubles player. She won a Pennsylvania State Championship as a member of the girls' tennis team at Peters Township High School. She made her professional debut in 2008. She gave up her scholarship to Vanderbilt University after having a breakout 2009 in which her world ranking jumped more than 600 spots. Her mother Carol was a school teacher and her father Al was an FBI investigator. Her siblings Dan and Sarah both played college tennis. She upset Wimbledon champion Petra Kvitova in the third round of the 2013 U.S. Open.